KATHMANDU, July 8: Minister for Education, Giriraj Mani Pokhrel has urged Dr. Govinda KC to end his hunger strike and fly to Kathmandu to discussion with the government. Speaking at a program organized by Council for Technical Education and Vocational Training (CTEVT), Pokhrel said that the government was willing to present the Medical Education Ordinance Bill in line with the Mathema recommendations. Pokhrel added that the government was committed to form a National Education Commission to do away with irregularities in the field of education. 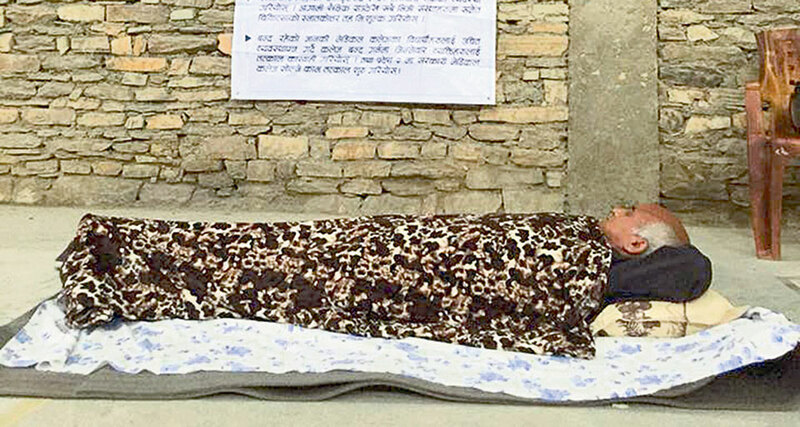 Dr. KC has been in a fast-unto-death hunger strike at Jumla for the past nine days after the government decided to implement a revised bill that replaced the heart of the Mathema report that aimed to improve medical education in the country. Earlier, Home Minister Ram Bahadur Thapa had alleged Dr. KC for his ‘gangster like approach’ of going into strikes to meet his demands. Nepali Congress, on the other hand, has crippled the federal parliament meet. The government is currently under immense pressure after its apathy towards Ganga Maya Adhikari, attempts to prohibit protests and the replacement of Medical Ordinance Bill for which KC is in a hunger strike. 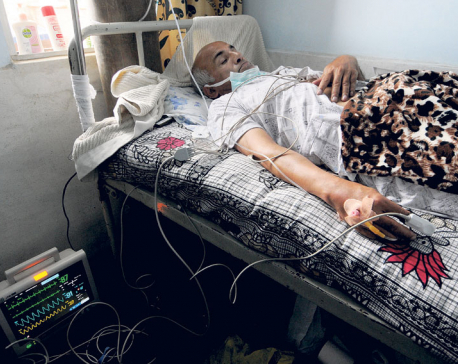 According to doctors, KC’s health is deteriorating in Jumla.